Join us at Wind over Fire Healing Arts Center on Monday September 22nd from 6:00-8:00PM. 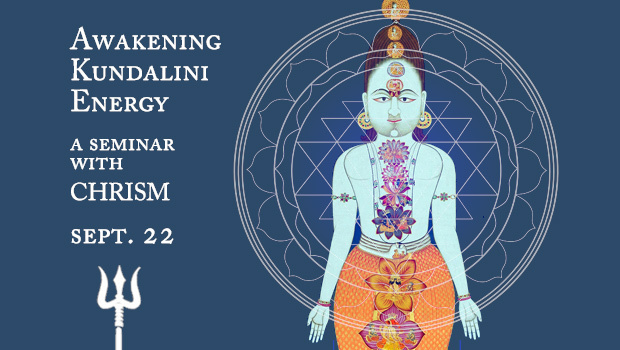 Chrism who will speak on his personal experience with his awakening with Kundalini Energy. This will be a basic talk providing information, questions and answers on this powerful energy that is within each of us waiting to become awake! Kundalini is an evolutionary energy that is designed for humanity’s next step toward a luminous physical and spiritual expression. The Kundalini is in everyone. It is an untapped resource of divinity within us all that is waiting to be awakened and experienced. Never has the time been so right and crucial for a change of this magnitude to be explored and initiated. And so, let me introduce you to the power within you, right now at this very moment…your Kundalini. Kundalini is a very powerful and transformative energy located at the base of the spine within the last three vertebrae of the tailbone or coccyx, extending to the perineum. Kundalini is a natural birthright to all people but must be sought and nurtured with a physical and spiritual practice. Kundalini is a Sanskrit word meaning “coiled up.” This is referring the Kundalini energy that lies dormant in most people at the base of the spine. There are many other names for this energy from almost every culture on earth: “Greater Kan and Li” from China, “Holy Fire” from the Christian Mystics, “Loong” of the Tibetans, “Dumo fire” of the Buddhists. Kundalini is gifted to people of all nationalities, all walks of life, male/female, and young/old. Kundalini with its rapid fireworks, sensational displays of light and colors brilliant as the sun, audio experiences ranging from bees to the tinkling of bells, smells of roses, cherry blossoms, and incense. Tactile symptoms ranging from strong internal hurricanes to vibrations of minute energies racing through the skin and scalp is more than any other experience associated with the beginnings of divine ascension within the body. Kundalini is a natural part of being human. It is an aspect of the human being that works like an electrical capacitor to a certain degree. When a certain amount of energy or a condition warrants its release into the body an extreme transformation ensues. Very powerful energy – that isn’t electrical – will release into the body. This can be triggered by an accident to the tailbone; by extreme meditation or extreme prayer or by severe emotional duress; by practices intended for its release; by a person who has it already flowing strongly with in. It also can be understood as an experience some people will have just by virtue of how they “are” – a pre-conditioned experience for them in life. The lessons for the mind (ego) and the mechanism for conscious evolution are in place within you right now. They are in place for the opportunity for conscious development. Kundalini forms the bridge that one walks to and from, in living a life that is divine and earthbound at the same time. All of your life can be continued and expressed within the parameters of walking the Kundalini path. The gift of the divine is within you at this moment. It is for you to choose to awaken yourself to these teachings. Chrism is another person like you, a consciousness clothed in flesh, that uses a set of protocols entitled ‘the Safeties’ to guide students in a loving and safe manner through the Kundalini process. Chrism came into life with a fully awakened Kundalini energy and speaks from his authentic experience. 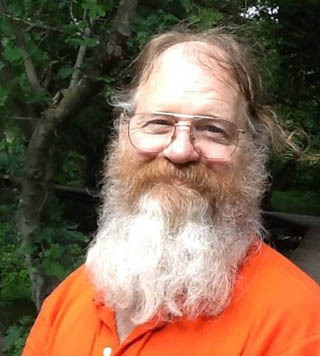 Through his many years of interaction with the awakened Kundalini he was guided to live a life of helping and teaching others that they may have a safe, supported and full expression of their own Kundalini energy. He offers Kundalini community groups on Yahoo and Facebook, presents seminars around the world, writes and publishes teaching articles and is currently writing a series of books on various Kundalini topics. Note: there is so much information on the web about Kundalini energy that I was overwhelmed with what to choose to help you understand the profoundness of this energy… just use your own judgment when reviewing some of the information. If you are interested in being a speaker, doing sessions, or conducting a workshop at Wind over Fire contact us.